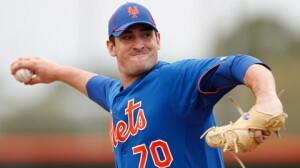 We learned this morning that the Mets were re-assigning 11 players to minor league camp, including valued pitching prospect Matt Harvey. 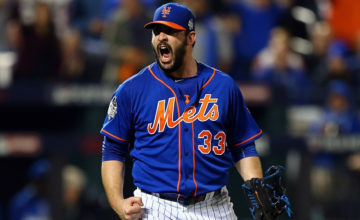 Although it was quite a longshot for Harvey to start the regular season with the big league club, he nevertheless was not thrilled about being sent down. The other players being moved to minor league camp are Jeurys Familia, Armando Rodriguez, Robert Carson, Wilmer Flores, Juan Lagares, Kirk Nieuwenhuis, Reese Havens, Josh Stinson and Matthew Den Dekker. Carson’s name had been thrown around in relation to the open spot for a lefty in the bullpen, but we expected the Mets to go with a more experienced guy like Daniel Herrera, Garrett Olson or Chuck James anyway. That deal for veteran lefty C.J. Nitkowski might be coming soon as well. This time, instead of a draw, at least we got a winner. Unfortunately that winner was not the Mets, as the Tigers triumphed 7-6 despite Detroit pitchers offering up 11 free passes total. 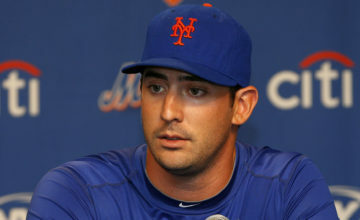 Dillon Gee, on the other hand, walked only one batter while striking out 5 in 4 innings. He allowed 2 runs, both on a Prince Fielder home run. One of those lefties I mentioned before, Chuck James, had a pretty disastrous outing. In just a single inning pitched, James gave up 4 runs on 2 hits and 3 walks. All those runs were technically unearned, but allowing 5 baserunners in an inning is no way to go through life. Chris Schwinden was much better for the Mets, with one strikeout and one walk in 3 scoreless innings. At the plate, there wasn’t much hitting to do for the Mets, what with all that walking going on. Jordany Valdespin was the only Met with an extra base hit. He knocked a double while going 2 for 5 with an RBI. Adam Rubin reported yesterday that the judge in the Wilpons/Picard case has ruled that the Wilpons must prove that they did not act in bad faith by willfully turning a blind eye towards Bernie Madoff’s illegal activity. This comes as a surprise because usually in a civil suit, the plaintiff must prove the wrongdoing by the defendant and not vice versa. It was thought that Picard would need to prove the Wilpons were “willfully blind” to Madoff’s fraud and that they acted in bad faith in order for a jury to award that additional sum. With Rakoff’s ruling Wednesday, the burden is actually on the defense to show by a preponderance of the evidence that they were not willfully blind to the fraud. 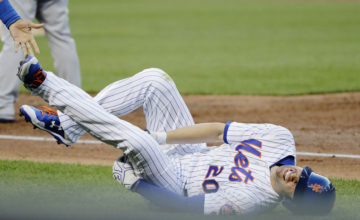 If the defense can’t prove the Wilpons’ innocence, the Mets owners may lose as much as $386 million.